Cooling down after building bike ramps, slipping across the slip-n-slide, digging in the dirt, and spending mornings at summer camp can be helped along with a sweet treat of a popsicle. We generally don’t snack, but I make an exception for active kids in the summertime. 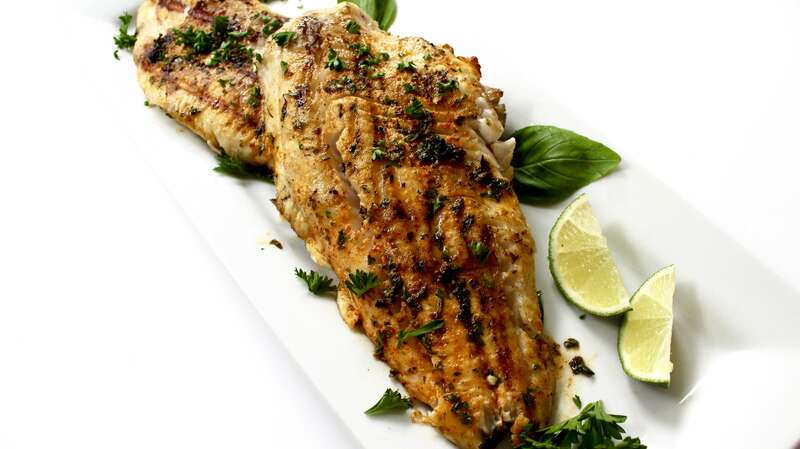 These are small, and don’t interfere with our meals when enjoyed mid afternoon. In the freezer section of the grocery store you can now find more natural alternatives made with whole fruit, fruit juice, and minimal or no added sugar. You still want to watch labels carefully- some of the natural looking packaging still contains loads of sugar or corn syrup. 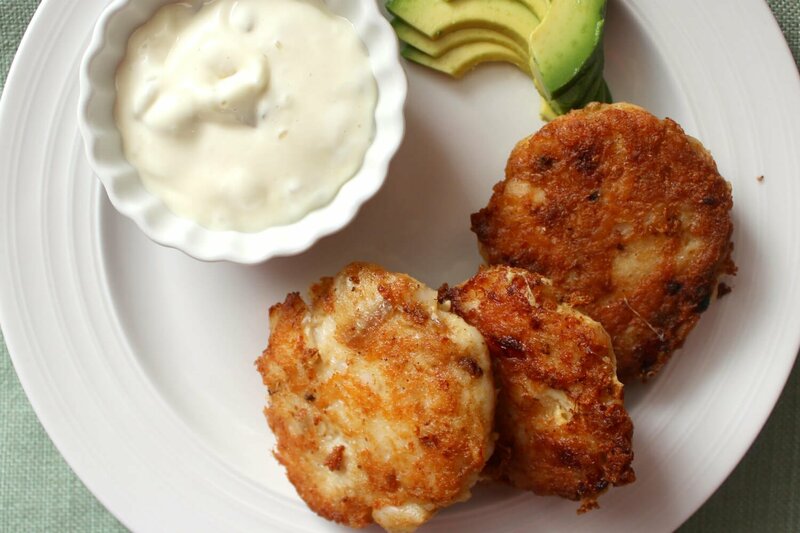 Or you can make your own, in less time than it takes to run to the store! Popsicles are so easy to make, I like to do a few batches at once on an empty summer afternoon, or I just puree fruit that is about to go bad with a little fruit juice concentrate and pour that into popsicle molds between other jobs in the kitchen. When we make popsicles ourselves we end up saving loads of money, and we can also add different ingredients like magnesium or tart cherry juice that are beneficial to specific health issues. I always keep some free of supplements for visiting friends as well, especially when I use dairy kefir in them, to keep our friends from having die-off reactions (read more here). If you’ve felt like popsicles were a lot of work to make, your recipe might be too complicated. If you can make a smoothie, you can make great popsicles! Read below for some essential tips and then check out the easy grape popsicle recipe below. If you have very young children who haven’t been exposed to sweet popsicles and you want to help them cool down without the sticky-drippy mess and wasted popsicles, simply freeze water in popsicle molds and they will love the novelty of the different shapes of their ice pops. And you won’t mind that they take a few licks and then drop the pop in the sandbox in pursuit of other activities. If you have younger children who are no longer fooled by the ice pop mentioned above, you still will want to use smaller popsicle molds as they lose interest quickly. I like these for my little ones (under 5). When you freeze popsicles, they taste less sweet due to the cold. If you’ve tried freezing fruit juice and been disappointed, add some fruit juice concentrate to bring out the flavor and sweetness that you expect in a treat. Because of popsicles small size, I don’t really worry about this sugar that much. To keep some of the texture of whole fruit without making it hard to eat or leaving empty spaces in your popsicle molds, pulse whole fruit in your blender to easily chop it up without completely pureeing it. That’s what we do in these grape popsicles below. Popsicle molds hold less than you may expect. Either make tiny batches (2 cups max) or get lots of popsicle molds and make a week’s worth at once. If you’re like me and prefer to offer neighbor kids our food vs having my kids eat over there, you’ll find that you quickly go through lots of pops! If your popsicles aren’t freezing solid, they may have too much sugar or fat in them, or something else (like magnesium) is preventing them from freezing solid. If you’re using coconut milk or lots of honey or lots of fruit juice concentrate, there isn’t enough water in the pops to freeze solid. These won’t work with the kind of popsicle molds that have the stick and pull out of the mold, but they do work really well with these squeezie pop molds. The squeezie pop molds above are also great if you don’t have time to freeze your popsicles solid before wanting to consume them- they can be enjoyed after just a couple hours in the freezer. To make removal after freezing easy, make sure you start with dry popsicle molds. If I try to refill them right out of the dishwasher when there still is condensation on them, I find they stick more when trying to remove the finished popsicle. When you’re ready to remove, run under hot water for a few seconds on all sides, and they should pop right out! I like to use the sink in my laundry room for this, since it’s right next to the hot water heater and gets hot water super fast. 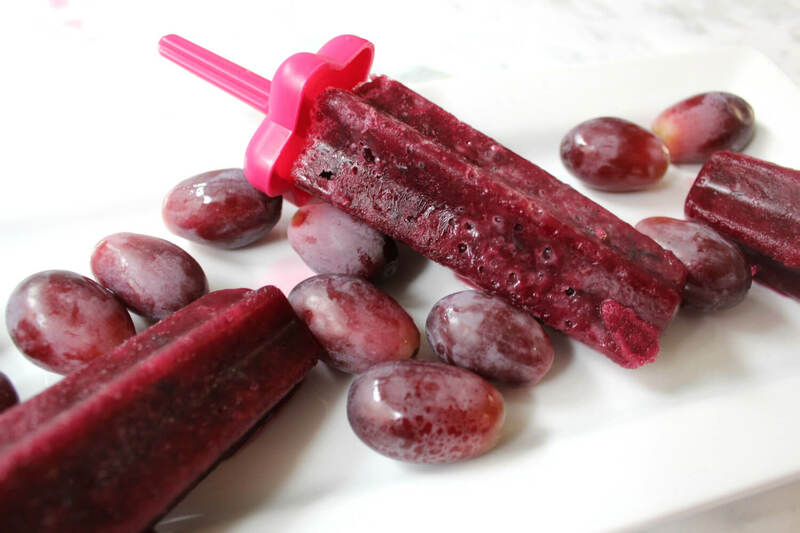 Quick, easy, and delicious red grape popsicles are a favorite in our home. Set your popsicle molds up so they are ready. I used star shapes (find them here). In a blender, pulse grape juice concentrate and grapes until mixed through but there are still small chunks of grapes. Snap the lids on top of the molds and freeze upright overnight. To remove, run the clear part of the popsicle mold under hot water and firmly pull out the handle.